A postmodern serial killer thriller. The world's greatest writers of Multiple Homicide Fiction are gathered for a festival—only to be killed in ways that hauntingly recall their most famous works. Local author Rachel Stern finds herself on the hunt for the shadowy Reader—but will she end up on his list? In the 1990s, the genre of serial killer fiction is emerging into a serious literary occupation. The world's pulpiest authors converge on a sleepy southern city once described by Salman Rushdie as "the ideal setting for a Stephen King novel or horror film" for the inaugural Festival of Multiple Homicide Fiction--only to be killed, in gruesome homage to their most famous works, by a shadowy figure quickly dubbed The Reader. Rachel Stern is a local multiple homicide writer who is researching a new book with the local police when the first of her colleagues is killed. Her knowledge of the genre soon proves invaluable to the investigation, but as more bodies appear it seems that the killer may be targeting her. Her ex-husband has reappeared and is making a nuisance of himself. The conveners of the festival are trying to play down the rumours of a serial killer preying on their authors. As the murders close around Rachel she is forced to question her own part in the gathering darkness, and to confront the very nature of fiction, of characters and authors. 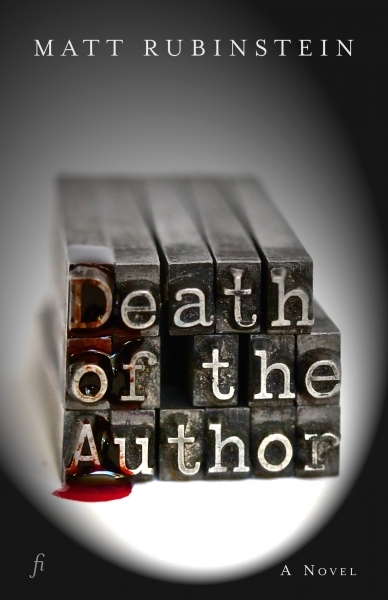 Death of the Author interweaves Rachel's search for The Reader with chapters from each of the dead authors' fatal books, with a pastiche of styles and a panoply of killers. It is full of gore, dark humour and metadiscourse, and recommended for anyone with an interest in serial killers or literary theory, and particularly anyone who has been to a writers' festival or visited Adelaide, South Australia.